It always seems during the Christmas season our hearts are more focused on the needs of others than other times during the year. As Christians, we should always be others focused. I have lots of ideas on how to reach out to others with the gospel but they don't come to fruition too often. One of the reasons is I don't take the time to plan. Before I get into some ideas on reaching out to others with the gospel I want to state the reminder that your husband and family are first. If you do not have things together at home and your own family is being neglected while you are out doing good for others than your priorities are out of whack. Your closest neighbor to love is your own family. You may be good at giving and sacrificing for others outside your home but you need to take the time to give and sacrifice first for those in your home. It doesn't have much impact on your children if they are second to those outside your home. Moms with little ones underfoot this is going to look different for you than for moms like me (actually grandmothers) who don't have little ones underfoot at home anymore. 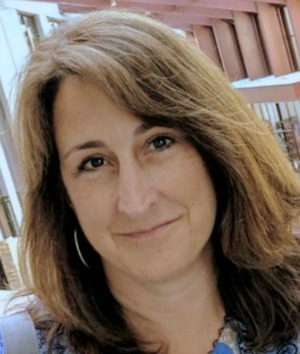 My time is still to be a priority to my husband, children, and grandchildren but I have more available time to reach out in ways that you are not able when you are in the midst of raising a young family. Remember you are raising a family to have an impact for God's Kingdom. The example you set before them in the area of servanthood in your own home will have the biggest impact on how they reach out to others when they are on their own. Do not compare yourself with others. Every family's situation is different and you are already having an impact for the kingdom that someone else isn't. If you tend to compare take some time to watch this video by Carolyn Mahaney. The purpose of this post is not to make you feel guilty but to get you thinking on simple ways to make an eternal impact. Before you start take the time to ponder and pray as a family on ways you can do this together. Involve your children and please check first and get the go-ahead from your husband. He is a good source to go to and to ask how you are doing with your time at home and he may have some great ideas on reaching your community with the gospel. Working together as a family will grow you all into being others focused. As I stated earlier, planning is key to reaching out. Just like any other project you need to have a plan of action for it to happen. If you are going to hand out tracts they need to be accessible. If you want to give someone a bible you need to have some on hand. If you want to have a family over for dinner you need to invite them. 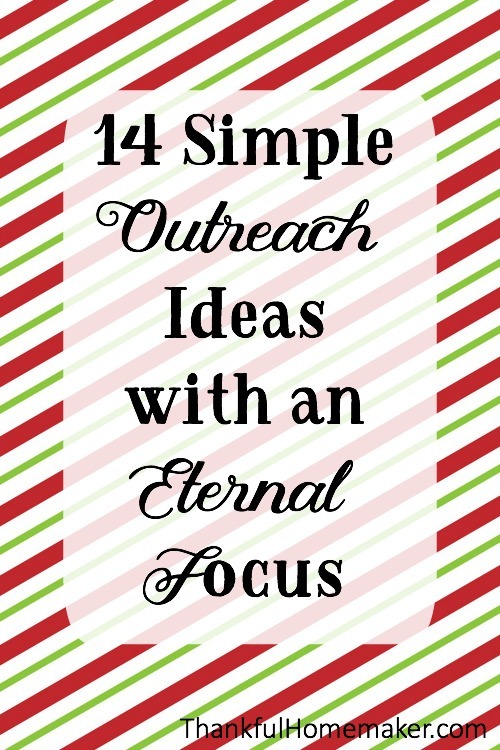 Here are some easy and simple ways to reach out to those around your community and around the world with an eternal focus. 1. Take the time to see the needs of your own church family that you can meet. Does someone need a meal, phone call, card or just some time with you? Can you provide a material need, babysitting services, yard work, or housework that needs to be done? We don't have to wait for a committee to be formed to meet these needs. When you see a need you can meet – meet it – pretty simple. God's Word tells us in Galatians 6:10 to “let us do good to all people, especially those who belong to the family of believers”. In Acts 2:42-46 tells us how the believers provided for the needs of one another and how the Lord added to their number daily those who were being saved. We sing the song – They'll know we are Christians by our Love – that is referring to when unbelievers see the love we have for God and the love we have for the family of God. Do not neglect the needs of your brothers and sisters – they should be a priority in your life for areas the Lord has provided for you to meet. They speak powerfully to an unbelieving watching world and confirm who we are in Christ. We still need to verbalize the gospel – more on that later. 2. Keep some basic gospel literature and bibles handy in your car, home, and purse for times when you would like to leave someone with a little more information. Here is a great 2-minute video on preparing your car to share the gospel and another one here on packing your purse with tracts. Just being mindful to hand one out when you haven't been able to share the gospel puts the gospel in their hands. Isaiah 55:11 tells us God's Word will not return void – it will accomplish His purposes. 3. Christmas is a great time to hand out a tract and a gift. Living Waters has some neat tracts that you could put some fresh one dollar bills inside to hand to people as you are out and about. Not too many people out there turn down a gift of cash. 4. Christmas Carol in your neighborhood. Pack little treat bags and add in a gospel tract and information to your church. Easy and fun. 5. Pay for the person behind you in the drive-thru window and leave them a gospel tract. This is a favorite idea and one we have enjoyed doing. It is easy and I love it because the drive-thru attendant is handing out the tract for you. Make sure you give one to the attendant too! Fun video to watch to see how easy this is. 6. Write a letter to a believer who is suffering persecution. This has been an encouragement to be able to send a letter to a brother or sister around the world who is in prison and suffering for their faith in Christ. We like to print out their information and keep it on our bulletin board to pray for them as a family. Voice of the Martyrs Prisoner Alert makes this easily available for anyone to do. 7. Deliver cookies and Bibles to your local police and fire stations. Tuck a gospel tract inside each Bible by the Gospel of John. 8. Shop the Compassion or Samaritan's Purse Christmas Catalog to send a gift with an eternal impact. Send a gift as a family or buy gifts in honor of others. It is fun sit with the catalogs and pick out gifts to send as a family. If your heart is for orphans Harvest Ministry meets the needs of orphans in Africa and I love that 100% of your funds sent to the orphans goes directly to meet their needs. 9. Visit a Nursing Home to sit and visit or take a small group and sing carols. Take the time to share with an elderly person and lend them your ear for a while. Children are such a blessing in nursing homes and I love watching the faces of the residents light up when they see little ones. Please take the time to verbally share the gospel and if you can leave them a bible (large print) and a favorite gospel tract is the Remember When from Living Waters that would be a nice gift. (Make sure you get permission ahead of time if needed, especially for caroling). 10. 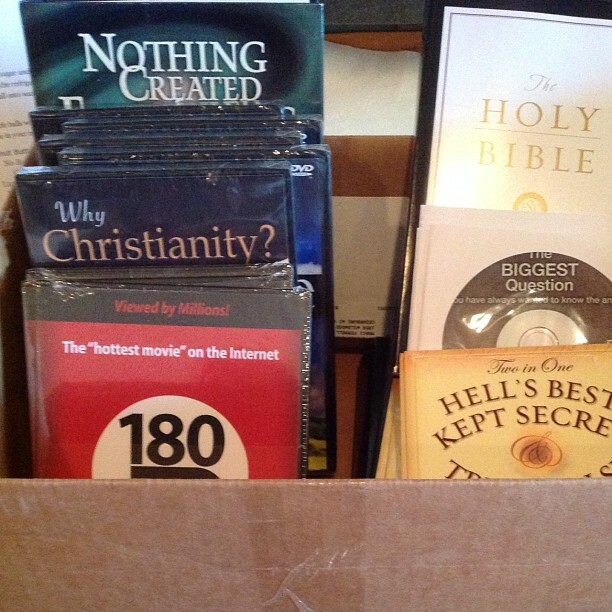 Hand out evangelistic gift packs to your neighbors. Make simple gift bags with homemade baked goods and add in a tract or our favorite item this year is either the Biggest Question DVD or Joe Average. The Good Book Company has some great outreach books that you can wrap and hand not just to neighbors but to anyone you come in contact with while out shopping or running errands or dining out. Christmas Playlist and Rescuing Christmas are our favorites. They offer really good quantity discounts too. 11. Invite your unbelieving neighbors over for dinner. Pray about reaching your neighbors and be intentional and take the time to plan this one on your calendar or it won't happen. What better way to show Christ's love and share the gospel than from the comfort of your own home. A great resource is Organic Outreach for Families: Turning Your Home into a Lighthouse. 12. Send out evangelistic Christmas Cards. Our cards are always Christ focused and on the back we share the gospel (I usually just share a presentation from the back of a favorite tract) and put additional links to websites like Answers in Genesis, Are You a Good Person Test, or CARM.org. This year we are using cards from Answers in Genesis – they have a great selection of cards that has the gospel presentation on the back. 13. Send Christmas Cards, emails and or gifts to the missionaries your church supports. What a great way to be an encouragement to those that are taking the gospel to the lost around the world. 14. Pray for the families of the Christmas Cards you receive. Pray for the believers and pray for those who don't know Christ to come to a saving knowledge of Him. This is great to do together after dinner with the cards you received that day.14. Blessing bags for the Homeless. 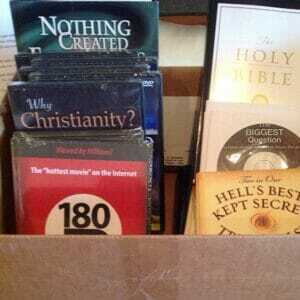 Make sure you include a Bible or pocket New Testament and a good tract or two. You need to verbalize the gospel and not just live a good life. Please watch this short video on the importance of opening our mouths! What are some ways you reach out to others with the gospel? How do you keep an eternal perspective on helping others? There are many unbelievers who do good things but as believers, we are always to give a reason for the hope we have in us and are to give glory to God in all we do. If I don't share why I am doing what I do – the glory goes to me. Take the time to pray for the Lord to help you to see the needs around you and do your part in being diligent to meet them. Again, it may be just starting with the needs in your own home. If our good deeds are left void of the gospel they have no impact on eternity. May we be intentional to not just meet the temporal needs but also focus on the eternal needs of those around us. Another idea is to Include a link to the animated gospel tract ‘www.freecartoontract.com/animation’ in your email signature, saying something like, ‘p.s. you might like this gospel cartoon …’. I love the dinner idea, sharing our food when we have so much at this time. Open the table up to others to show Gods Love! We always give out cookie bags to the neighbours at christmas too. My favorite is the evangelism drive thru but the blessing bags are a close second. Thanks for the post, Marci! So timely for the season and for any time of the year. So nice to have all these ideas and encouragement in the same place. Much love to you, sister! The idea I love the most is “Christmas is a great time to hand out a tract and a gift”…. that is so easy! I love praying as a family over the Christmas Cards we receive. Pick me! Wonderful ideas. Thanks for sharing these. Congratulations Gail you are the winner chosen from Random.org :)- when you have a chance can you please email me your mailing address to thankfulhomemaker@gmail.com. Love this, sister! We love caroling our neighbors and handing them a tract along with baked goodies. These are all excellent ideas! Thank you for the time you put into this post, Marci. I like the Evangelism Drive Thru. My mom, sister, and I did something similar to this at Starbucks. Though as my paid our drinks and for the vehicle behind us, she forgot to take our drinks and drove off. She did then quickly get into a parking spot and walked in to get what we ordered!